As top SARS officials face charges, Noseweek takes another look at the secret world of Johann van Loggerenberg and his friends in the media – a world of intrigue and subterfuge that is generally but not always in a good cause. When Muzi Sikhakhane SC was appointed by acting SARS Commissioner Ivan Pillay to head an external panel to probe allegations of impropriety against its top investigator Johann van Loggerenberg, it didn’t take long for the panellists to realise the extent of their task. In front of him was marshalled a body of veteran spooks, not slow to trot out testimony that was “self-serving, false and irrelevant”. Some members of the Revenue Service contingent, who were “hypnotised by Mr Van Loggerenberg’s perceived power and charm”, were “clearly prepared to protect him at all costs”, Sikhakhane wrote in his November 2014 report. On the other hand, he added, others had adopted a hostile stance towards the charismatic official “as a result of what we viewed as organisational dynamics”. Accompanied by his attorney and by Nic Maritz SC, Van Loggerenberg, now 49, gave testimony twice. The first time he did not volunteer the existence – let alone his involvement – in SARS’s National Research Group, its High Risk Investigations Unit, or any of their predecessors, coming clean only in the second session after their existence was fortuitously revealed in the media. Initially, Van Loggerenberg had two requests: that the panel should not reveal the names of fellow SARS officials with whom he had had romantic relationships, and that the panel should not name his private charity, Wachizungu, in its report. Initially, he named only two SARS romances. Confronted with a third name, he admitted it. His three lovers were Lana Pinkham, Siobhan Wilson and Talita Snyckers. 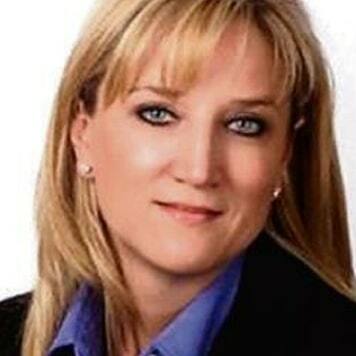 Sikhakhane’s job was to investigate claims by another former lover, Pretoria attorney Belinda Walter, that Van Loggerenberg had run a covert unit within SARS, that he unlawfully revealed taxpayer information, was engaged in unlawful interception of conversations and had initiated their romantic relationship with the sole purpose of obtaining incriminating information about her clients in the tobacco industry. Walter was chairperson of the Fair-Trade Independent Tobacco Association (Fita), a group of tobacco companies some of which were under investigation not only by SARS but also by the State Security Agency (SSA). She had also been a covert agent of SSA since 2010, and established Fita at the behest of her intelligence masters in order to obtain information about illegal tobacco operators. In fact Walter was a double agent, also passing confidential information to British American Tobacco. Or even a triple agent, if you count the inside information she provided to SARS through Johann van Loggerenberg. It was Belinda Walter who kick-started the whole SARS rogue unit scandal after her seven-month fling with Van Loggerenberg ended in May 2014 and she took her story to the press. This entire SARS saga involves a maelstrom of professional spies, the three most important ones having arrived at SARS around the same time, in 1998/99. The most high-profile yet most discreet operative of the trio was Pravin Gordhan, these days Public Enterprises Minister but under apartheid, a quietly spoken pharmacist at the King Edward Vll hospital in Durban – until he was detained. A key figure in the ANC underground network, Gordhan had spent four years developing the structures of Umkhonto weSizwe (MK) and its Operation Vula. A solid Party man, he was deployed to SARS as Deputy Commissioner in 1998, taking over as Commissioner in November 1999. Ivan Pillay, who joined SARS in 1999 as head of compliance, risk and enforcement, was an old fellow Vula comrade and as the organisation’s project manager reported directly to Oliver Tambo. Post-1994 Pillay played a key role amalgamating the former protagonists’ intelligence forces into the newly formed National Intelligence Agency and South African Secret Service. Johann van Loggerenberg (arrived at SARS 1998) told the Sikhakhane panel that he had been an undercover agent for the police during apartheid, in what he described as the Republican Spy Programme. He was referring to the Republican Security unit (RS), one of the apartheid regime’s more notorious police outfits, which specialised in recruiting bright young students who it trained to infiltrate and operate under cover within the liberation units. Van Loggerenberg (“at least as he testified,” said Sikhakhane) was deployed in the unit’s less controversial operations infiltrating organised crime. In the new South Africa, Van Loggerenberg told the panel, he joined a similar police organised crime unit, and was later seconded to the National Intelligence Agency on specific investigations. His recruitment to the Secret Service followed and it was in this time that he met Pillay who was busy pulling all the intelligence structures together. Pillay introduced Van Loggerenberg to Gordhan, then deputy commissioner, who told him of his plan to develop the intelligence capacity within SARS. There Van Loggerenberg rose swiftly through the ranks and was considered their crack investigator. Today, Van Loggerenberg and former deputy commissioner Ivan Pillay, along with former SARS National Research Group leader Janse “Skollie” van Rensburg, face charges of corruption and the illegal interception of communications over an operation known as Project Sunday Evenings. 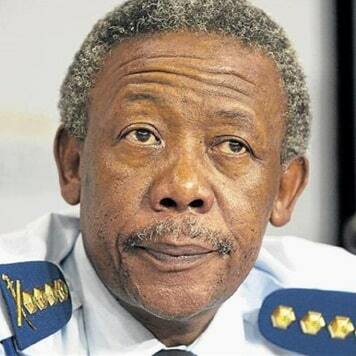 It is alleged that bugs were installed in the head offices of the National Prosecuting Authority in the build-up to the arrest on corruption charges of then national police commissioner Jackie Selebi. The charges against Van Loggerenberg and co have revived speculation that a rogue unit was indeed active within SARS. When the trio last appeared in the Pretoria Magistrates Court on November 8, the case was postponed to 14 February while their advocate, Laurence Hodes SC, does battle in the high court for disclosure of the full police docket, part of which had been held back by the State Attorney. Van Loggerenberg’s special unit at SARS is said to have made spectacular gains against organised crime. In the process he built up strong, if strictly unofficial, links with the media. Officially, SARS’s secrecy provisions forbade him from talking to the press; all media communications were supposed to go through the press office, headed by Adrian Lackay, Van Loggerenberg’s friend and co-author of his 2014 book Rogue: The Inside Story of SARS’s Elite Crime-Busting Unit. Some of Van Loggerenberg’s favoured journalists (no one from Noseweek) were featured in KPMG’s highly controversial Report on SARS Rogue Unit (see nose228). From the hard drives of targeted individuals at SARS, the KPMG forensic investigators retrieved evidence of confidential taxpayers’ information that was passed to select journalists. They also discovered that some journalists would email their stories to Van Loggerenberg prior to publishing them. In an email to investigative journalist Jacques Pauw on 10 May 2012 Van Loggerenberg wrote that the information he forwarded was confidential “as it concerned aspects of a taxpayer”. He said the obligation was on Pauw not to divulge that Van Loggerenberg had engaged with him. Van Loggerenberg asked Pauw “to consider meeting with him off the record”. Was that careful overture by the spook the beginning of their soon- to-be-highly beneficial relationship? (Van Loggerenberg was to be a key source in Pauw’s recent best-selling book The President’s Keepers). (Walter subsequently told the Sikhakhane Panel that Van Loggerenberg gave her a USB memory stick with “analysis software from the SARS interception unit”, including information extracted from her phone. She said the hawks had secured the memory stick as evidence. This extraordinary “Mata Hari” diatribe was accompanied by a heart-warming picture of Van Loggerenberg among a group of Zambian children in his capacity as director of a charity (Wachizungu) that “runs an orphanage and gives shoes to underprivileged children”. In her Right of Reply to City Press, Belinda Walter said: “Pauw chose to present a biased view that painted me in the worst possible light. Perhaps this was because Pauw was listed in my complaint (to SARS) as a journalist sharing an improper relationship with Van Loggerenberg. In 2015 Belinda Walter swore an affidavit stating that Johann van Loggerenberg and other SARS officials had “unlawfully surveilled, monitored and intercepted” her privileged communications. “I am also aware that JVL [Loggerenberg] similarly intercepted the communication of numerous other advocates and attorneys which included a senior counsel,” ran her affidavit. 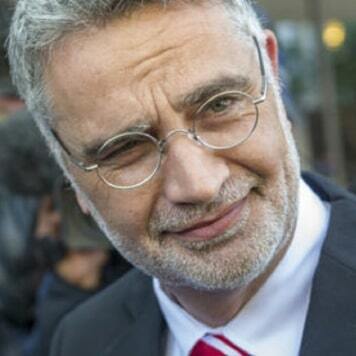 “On or about 14 or 15 November 2013 JVL informed me that he had been intercepting all of my communications. One such taxpayer under investigation was Gavin Varejes, president of SA Rugby Legends (more later). Members of the media also made donations to Wachizungu. One of them was Adriaan Basson, at the time assistant editor of City Press. On 23 September 2012 Basson and Pauw co-authored a timely scoop in City Press about a “fraudulent and possibly corrupt” R52-million Limpopo roads tender won by On-Point Engineers, in which the family trust of then-ANC Youth League leader Julius Malema was a shareholder. The second part of the Basson-Pauw story revealed how SARS had quietly obtained a R16m tax judgment against Malema, and was targeting Malema’s property and assets in Limpopo and Gauteng, including his half-built mansion in Sandton, a farm and smallholding in Limpopo and a house in Polokwane. Five months later, on 1 February 2013, Basson produced another great – and equally timely – SARS exclusive in City Press, disclosing details of the 51 charges facing Malema in SARS’s insolvency application, scheduled to be heard in the North Gauteng High Court later that month. The assistant editor’s scoop quoted the contents of a supporting affidavit from senior tax inspector Pieter Engelbrecht revealing how Malema’s net assets of R8.5m had reduced to R1.4m; how R5.8m had been paid by “third parties” to rebuild his house in Sandton; and how SARS had rejected Malema’s offer to borrow R4m to settle outstanding taxes to 2011. Noseweek has established that on 27 May 2013 Adriaan Basson made a R500 donation to Johann van Loggerenberg’s charity Wachizungu. The journalist had good reason to be grateful to Van Loggerenberg. His memorable SARS exclusives were a major factor that won him CNN’s Journalist of the Year award in 2012 for his articles on Malema’s financial affairs. Basson moved on from City Press to head Media24’s Afrikaans news platform. He is now editor of News24, Africa’s biggest online news platform, where he has derided the existence of a rogue unit at SARS as “patently false”. The Van Loggerenberg connection has also been beneficial to his old City Press colleague Jacques Pauw. When Pauw’s book The President’s Keepers was launched at the end of 2017, the Sunday Independent ran a story by its editor Steven Motale claiming that virtually all information in it regarding SARS was provided by our old trio of former spooks who joined SARS together in 1998/99 – Pravin Gordhan, Ivan Pillay and Johann van Loggerenberg. Motale quoted “impeccable sources” who told him that Pauw had had no intention to write the book until he was approached “with tons of information” by an influential group led by Gordhan. When Pauw expressed reservations over possible lawsuits, he was given an assurance at a meeting in Stellenbosch attended by “a prominent businessman” that he would be provided with a budget to cater for all litigation. Gordhan denied playing any role in Pauw’s book. Pillay said he had not had any contact with its author and Van Loggerenberg’s lawyer said the allegations were “false, malicious, spurious and defamatory”. Pauw ranted against journalists who dared suggest anything that contradicted his own view: Motale was “discredited” and accused of having used planted information. Explaining Wachizungu to the Sikhakhane panel, Van Loggerenberg stressed that his charity did not collect for itself, but acted as a conduit, using the GivenGain online platform to pass donations to three “causes”: the PutFoot Foundation, the Vincent Shabalala Trust in Alexandra and the Wachizungu Orphanage and Academy in Zambia. The KPMG report said that Van Loggerenberg at one stage had used his personal credit card account to receive and make donations. A 15 February 2013 credit card statement reflected receipts of R70,000 and R90,000 from an account styled Wachizungu. Transfers totalling R150,000 were then effected to GivenGain, leaving R10,000 in Van Loggerenberg’s account. The auditors reconstructed a Wachizungu list of donors based on GivenGain notifications. It totalled R716,401, of which a whopping R550,000 was from entities associated with a controversial businessman with serious underworld connections named Gavin Varejes. Varejes, president of South African Rugby Legends Association and a generous contributor to the Police Widows and Orphans Fund, headed Richmark Holdings, which had interests in information technology, communications, property and security. He is listed as a director of Specialised Services Group (SSG), a private security organisation previously known as Associated Intelligence Network (AIN). Back in 2001 Varejes and his business partner Tony Strike faced a R210m claim from Gary Porritt’s Tigon group over the alleged over-valuation of a cellular accessories business, EuroPoint, which they had sold to Tigon. The same year, Tigon accused Varejes and Strike of massive VAT fraud discovered in EuroPoint. Varejes turned for help to his friend, the crime lord Glenn Agliotti, complaining that Porritt had caused SARS to conduct a lifestyle audit on him. He felt harassed by the Revenue Service and his failure to get the authorities to pursue his own complaints against Porritt. Agliotti offered to set up a meeting with corrupt national police commissioner Jackie Selebi and senior SARS personnel. A dinner was duly held at Varejes’s house, attended by Selebi and Agliotti. Two senior officials from SARS – Johann van Loggerenberg and Ivan Pillay – were also there. Confirming the meeting later, SARS claimed its officials did not sit down at the dinner table as that would have been in breach of SARS’s gift policy. The KPMG report states: “The primary unanswered question is why two senior SARS officials deemed it fit to meet with a taxpayer at his house and after hours on the Porritt (Tigon) matter, considering there was a designated SARS official (already) working on it.” [It might have added: with a major crime boss and the Commissioner of Police in attendance – Ed.] Subsequently, SARS raids led to Porritt’s arrest in December 2002, marking the start of a 16-year slow- motion criminal prosecution against him for fraud, theft and racketeering that continues to this day. In 2007 Varejes confirmed to the Mail & Guardian that Selebi played a part in the Porritt’s prosecution. After the 2001 dinner with Selebi at his house and eight months before Porritt was arrested, Gavin Varejes arranged for the planting of cocaine in Porritt’s Pietermaritzburg home by two police reservists named Paul Stemmet and Freddie Burger. The pair ran a dodgy outfit called Palto, which frequently carried out dirty tricks for Jackie Selebi. It took 10 years before Gert Nel, the DPP in KwaZulu-Natal, decided that Varejes should be prosecuted for his part in the drug-planting. Around this time there were two generous lots of donations to Van Loggerenberg’s Wachizungu charity. The first was the aforementioned R550,000 from Varejes, the bulk of which was delivered around November 2012 (a time when DPP Nel had agreed to reconsider his decision to prosecute Varejes). The second was R35,000 from Varejes’s attorney Ian Small-Smith, made on 5 June 2013 (two months after the DPP announced his decision to drop all charges). “We found the fact that taxpayers subject to an investigation [were] making a donation to an entity controlled by Van Loggerenberg extraordinary and could not find a logical and acceptable reason for such conduct,” stated the KPMG report. 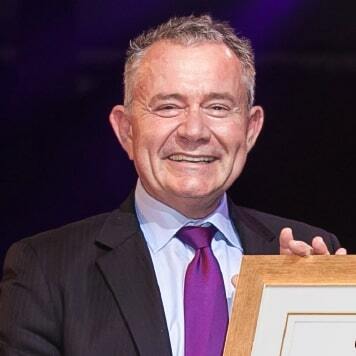 The auditors added: “Varejes is also involved in social welfare fundraising and it may be that he made the donations in this capacity, but one cannot omit to consider that Van Loggerenberg and Pillay attended a meeting at the residence of Varejes, when there was a dinner attended by Agliotti, Selebi and others. • In June this year, Van Loggerenberg dismissed the Sikhakhane Report as being “flawed in fact and law”.